One of the stand-out shows for May is the return of The Cate Brothers, who perform Sunday, May 24, 6 p.m. at The 21st Saloon. Earl and Ernie Cate have deep roots in American music, from their own solo work to their long-term involvement in the evolving line-up of The Band. The Cate Brothers appearance at The 21st last year was one of the most jaw-dropping, brilliant shows of 2014, a heart-felt showcase of accomplished musicianship and the pure joy of music. The Arkansas-based Cate Brothers broke on the national scene in the mid-1970s and enjoyed chart success. Cate Brothers’ drummer Terry Cagle learned his craft from his uncle Levon Helm. Look up more about the Cate Brothers’ history at allmusic.com. The Cate Brothers band plays very few shows together these days because brother Ernie is largely retired. This will be a rare, special show for blues and roots music fans. Lincoln’s Zoo Bar heats up with some great shows including a couple early in the month. On Monday, May 4, 6 p.m., the Zoo hosts blues stars Mark Hummel, Anson Funderburgh and “Little Charlie” Baty, who have teamed up with a powerhouse rhythm section. Blues-rock guitarist Coco Montoya hits the Zoo Tuesday, May 5, 6 p.m. and Lil’ Ed & The Blues Imperials are up Thursday, May 7, 6-9 p.m. 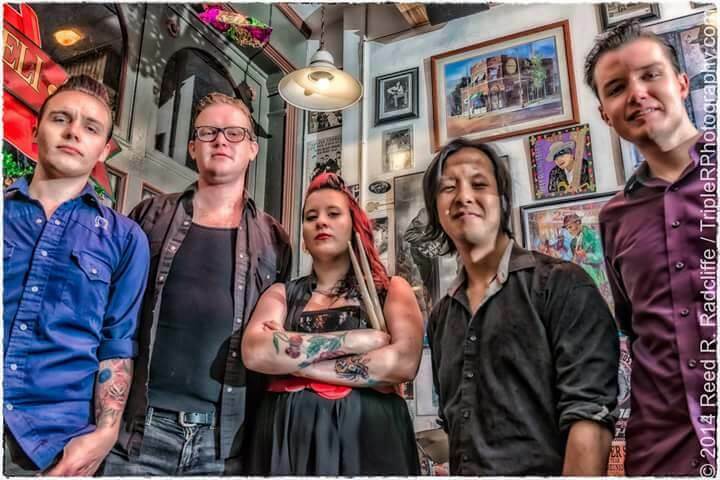 The 24th Street Wailers play Wednesday, May 13, 6-9 p.m. and Billy Bacon comes to town Thursday, May 21, 6-9 p.m. and Friday, May 22, 5 p.m. Jessica Hernandez & The Deltas, who describe their sound as “dark soul and Gothic pop” are up May 22 after 9 p.m. Check jessicahernandez.net. See zoobar.com for the full month’s schedule. Music moves outdoors this month with local, regional and national outdoor music events and festivals. Lippy’s BBQ hosts their 4th annual old-fashioned, small-town blues celebration in Malcolm, Nebr., near Lincoln, Saturday, May 23. Performing are Shawn Holt with the Lil’ Slim Band, Billy Bacon & His Porkestra, The Tijuana Gigolos, The Mezcal Brothers, The Geezers, Sh*thook, Sweeney / Stearley and The Bottle Tops. See facebook.com/lippysbbq. The fifth annual Blues at Bel Air free festival at 120th & Center happens Sunday, May 31, 3-8 p.m. Catch the eclectic roots music of The Bel Airs, plus Josh Hoyer & The Shadowboxers and Brad Cordle & The Mighty Jailbreakers. BluesEd youth band Mojo Bag opens at 3 p.m. There will also be more shows at Sumtur Amphitheater in Papillion competing for your entertainment dollar this summer. Saturday, May 30, Old Crow Medicine Show and Devil Makes Three tear it up. This show is a production of Mammoth Live out of Lawrence, Kansas, for details see facebook.com/itsmammoth or mammothlive.com. Tickets are available via Ticketmaster. The 21st Saloon hosts some great acts this month aside from the special Cate Brothers show. Versatile Texas guitarist Jason Elmore & Hoodoo Witch is back at The 21st Thursday, May 7. The high-octane rockabilly of The 24th Street Wailers with new addition Elliot Sowell on guitar is back Thursday, May 14. One of blues harmonica’s most creative and celebrated young players, Jason Ricci, is back on the touring circuit. Catch him Thursday, May 21. See mooncat.org. The crowd-pleasing swing and jump-blues of show band the Gas House Gorillas takes the stage Thursday, May, 28. All shows are 6-9 p.m. Playing With Fire is back for three big free shows at Midtown Crossing this summer. June 18 enjoy the gospel-steel guitar of The Campbell Brothers, June 25 catch Canada’s Paul Deslauriers and special guests and July 2 rock with guitarist Albert Cummings. See complete lineups and details at playingwithfireomaha.net. Remember to catch weekly updates in the digital-only Hoodoo at thereader.com.